When you think of Pilates, you immediately imagine a well-defined, slender, and toned physique. Sure, Pilates can give you that, but it also has other benefits to offer that are beyond aesthetic benefits. This form of workout it also great for improving your core strength and overall flexibility. Apart from these, Pilates enhance bone density and increase heart rate. These gains you’re bound to get from practicing Pilates are more than good enough reason to incorporate into your workout routine. This is a great way to bring a change in your standard resistance training and cardio regimen. While it’s widely known that Pilates improves bone density, it’s also ideal for actually building bones. Basically, bone is dynamic tissue just like the muscles and it effectively responds to exercises that challenge one’s strength. Of course this refers to resistance training, which works when muscles pull on bones to generate tension. This results to the further strengthening of the bone. In Pilates, resistance is delivered by the apparatus springs and resistance bands. If you want to shed one pound each week, you need to cut down 500 calories a day. Pilates can help you achieve this goal. When you perform Pilates, you burn 4-8 calories per minute, depending on the intensity you’re going. Back pain is a true struggle for those who keep on having it. It interferes with your daily tasks and make mobility a challenge. Luckily, back pain is one of those problems that Pilates can help address. This is because Pilates fortifies the core to hold up the back. It carries out appropriate position, and gives mild stretching for contracted back muscles, which are usually caused by improper placement and overdoing their use. Another benefit of Pilates is that rectifies causal disproportion, which frequently lead to bad posture and pain. A lot of people who do Pilates do so because of its efficacy in fortifying the muscles in the abdomen. It’s ideally designed to tighten the abdominal muscles with every move. What’s more is that it targets deep abdominal muscles as well. What’s worse than getting injured while working out? Not only does this hurt, it kind of also discourage you from continuing. Unfortunately, injuries prove to be more usual than ever. 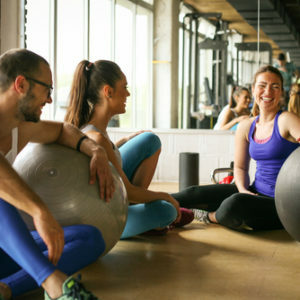 But since Pilates can enhance your flexibility, strength, and balance, you also decrease the possibilities of hurting yourself while working out. When your strength is significantly heightened, your body’s dynamic control of movement is also improved as a result. This lessens the risk of injuries. Another remarkable aspect of Pilates is how it gives body awareness that generate effectual movement guides. Hence, the strain on tendons, joints, muscles, and ligaments are substantially lessened. One of the well-known benefits of Pilates is your body developing superb flexibility. This is mainly because Pilates involves movements in multiple planes, in contrast with other workouts that only involve a single plane of motion. When you’re doing Pilates, you’re technically moving the spine from flexion to extension, internal to external rotation, as well as winding on the side, which enables an improved array of shifts throughout the body. When you’re physically inactive and most of your hours are spent on a desk, your posture is one of the aspects in your body that suffers. And posture is not just for aesthetic purposes as having a poor one leads to muscular disproportion. When you do Pilates, it helps you undo the effects of your harmful habits by making greater muscle symmetry and balance. Its effects on your heart health and vitality depends on the intensity you’re going. But most advanced Pilates classes can increase your heart rate to 120-130 beats per minute, averagely. When you’re able to keep up, it helps you establish cardiovascular endurance, which of course is a good thing when it comes to your heart.